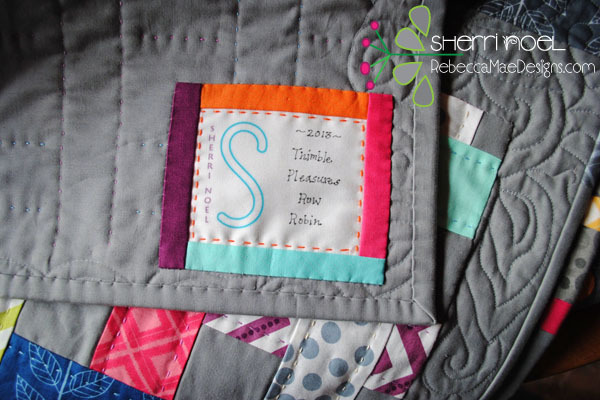 You can write with a permanent fabric marker if you want to include your name/date/quilt title etc. 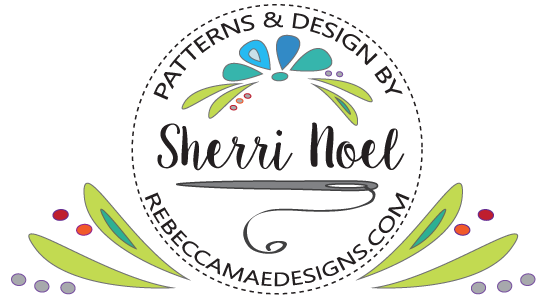 I uploaded a simple design of four labels (one in each color) that I created in Adobe Illustrator. 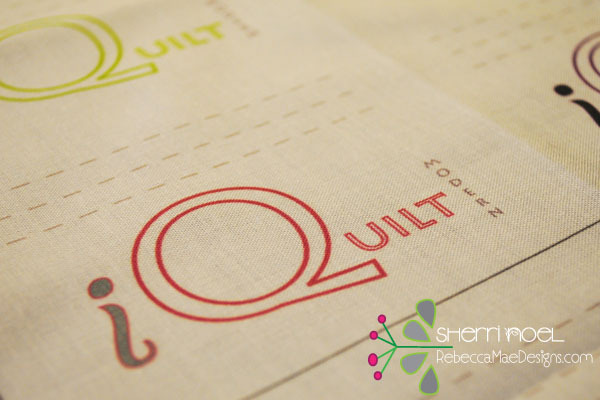 When you upload to the spoonflower site, the pattern is automatically repeated. 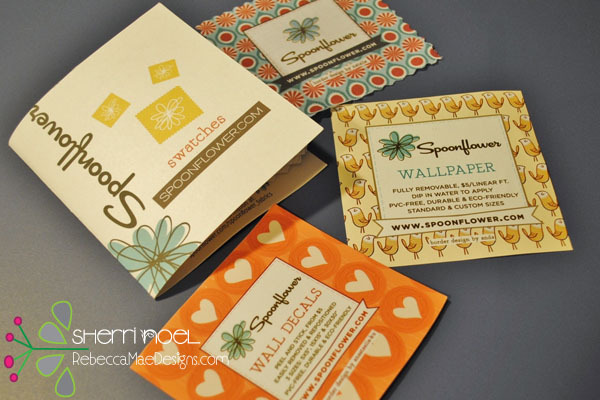 Each label is 4.5″W x 3.5″H. 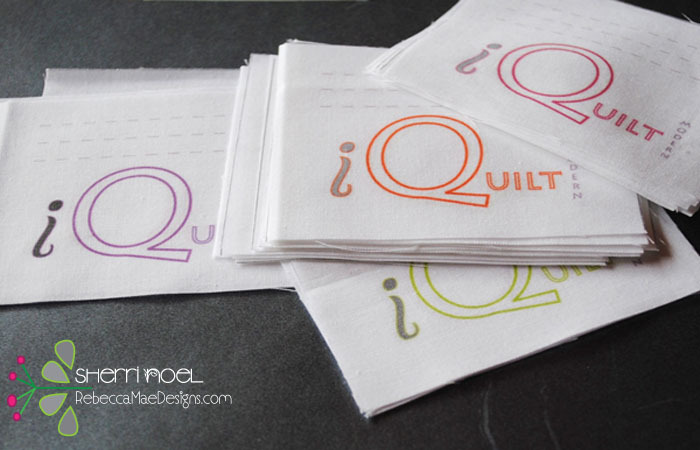 I ordered a fat quarter, printed on kona cotton, which gave me 24 labels in various colors. 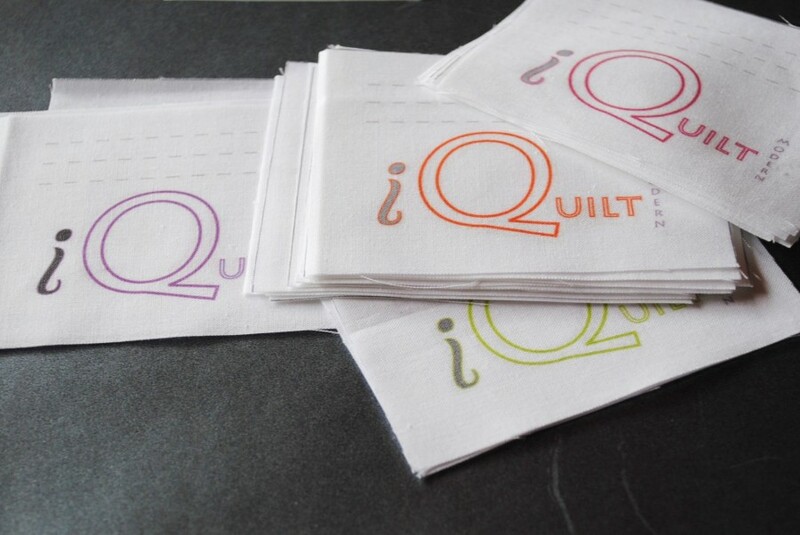 If you like my iQuilt design you can order it yourself direct from spoonflower.com. Since every order is custom printed expect to wait for your order. I believe it took three weeks to receive my order, and you can view the order status right on the site. 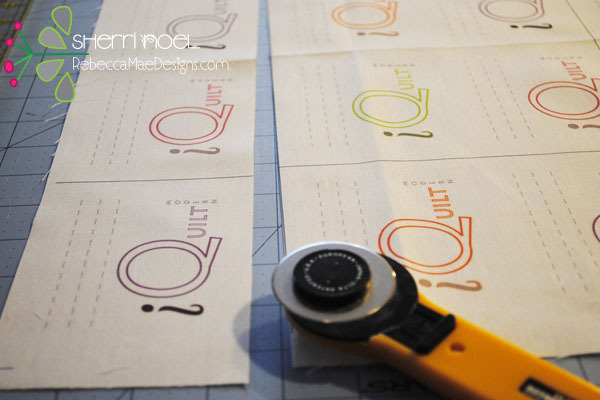 So give yourself some time if you want to create some labels (or other fabric) and need your order by specific date. You can go on their site and order yourself some design tools including a swatch kit for $1 and other tools like a color card and color map. 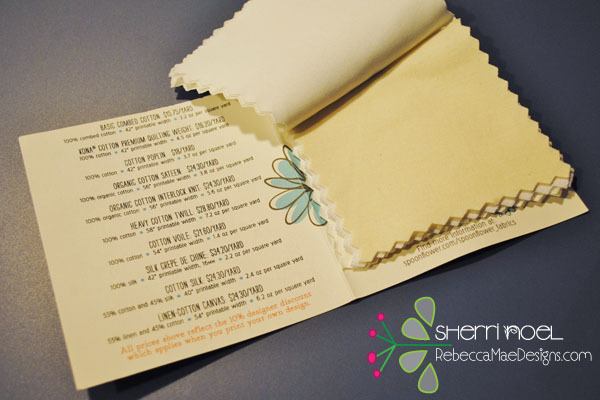 The fabric swatch book includes a sample of each fabric which is handy when deciding what weight or type of fabric to print your design on. 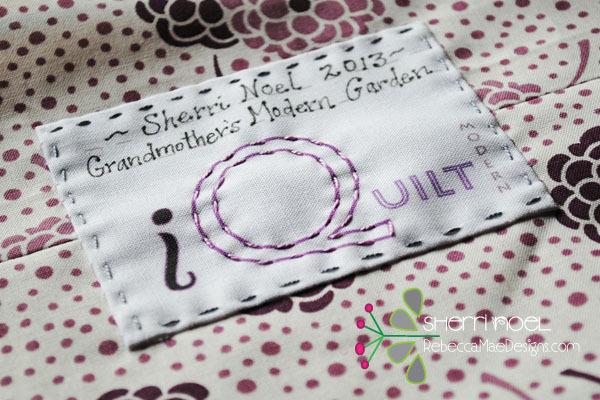 I tried printing some with my name on them too… This time I printed on the Basic Combed Cotton. It’s a bit stiffer than the Kona Cotton, but for labels it’s a bit easier to write on. Another simple design with my name already printed. 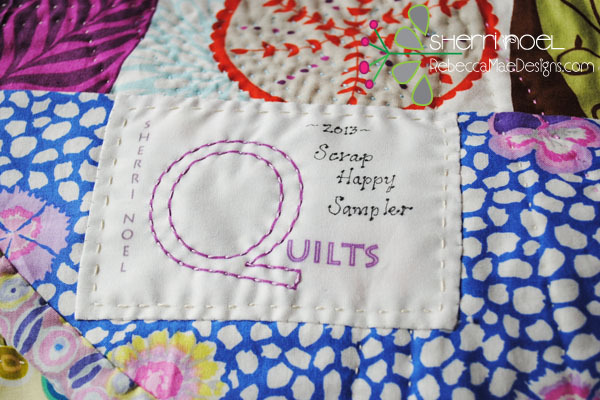 I pieced this into a small block with scraps from the quilt top. 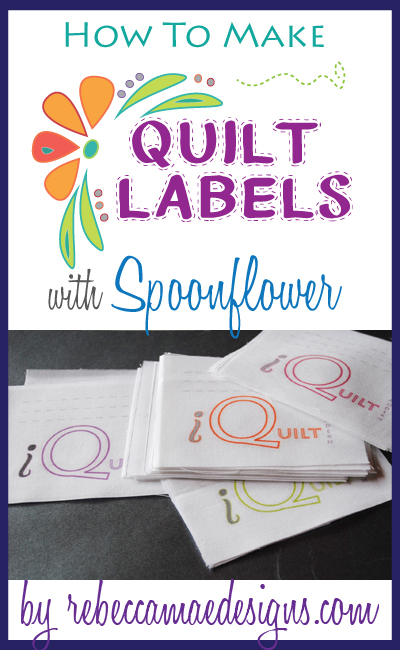 It’s really fun to get your own custom labels printed ~ even if they are simple like mine. 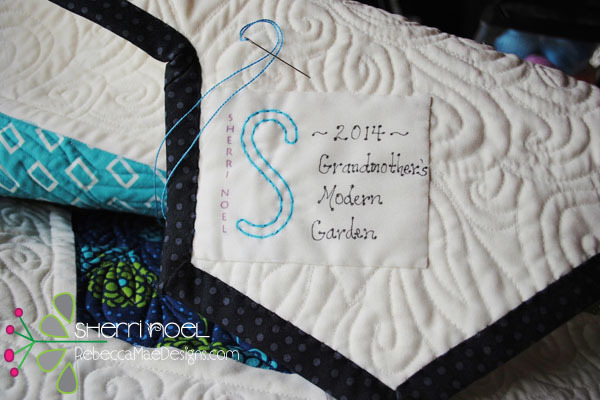 Spoonflower has a great tutorial for creating your own design if your a little computer savy. 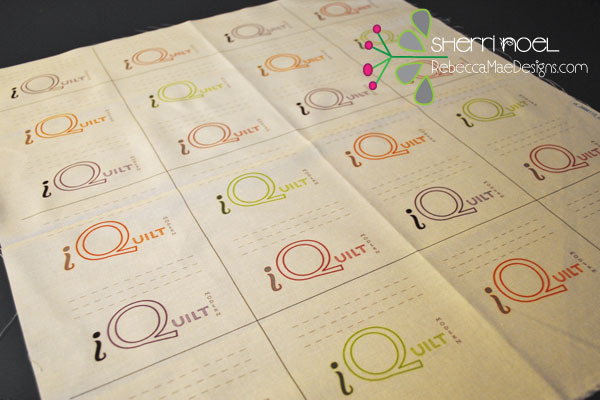 Or you can check out the other quilt labels that have already been designed including my iQuilt design.